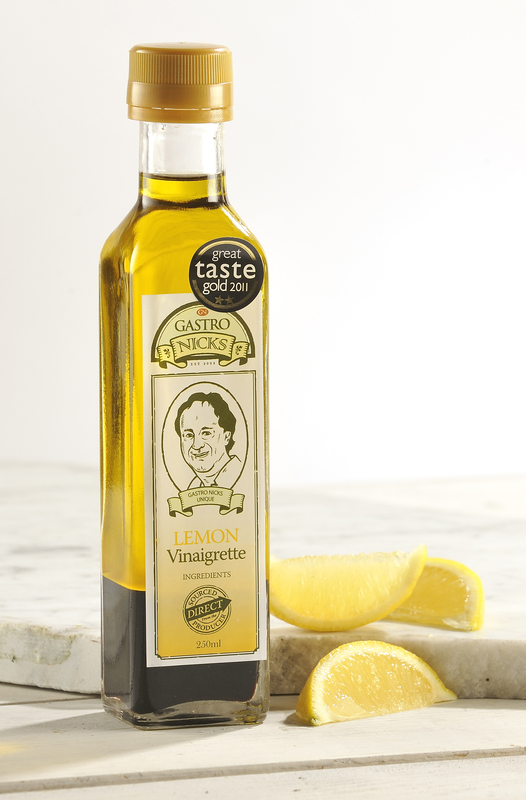 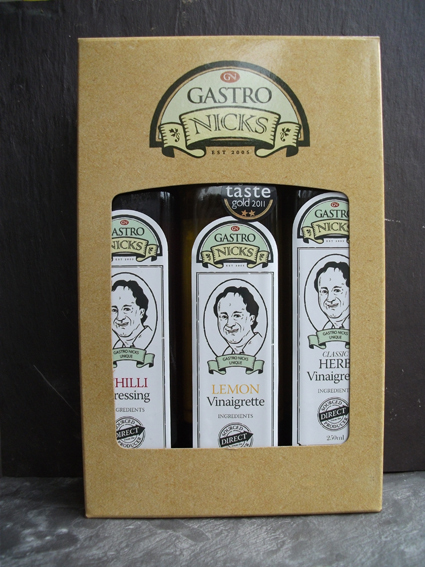 Our own handmade Chilli, Herb and Lemon vinaigrettes in a Gastro Nicks gift box. 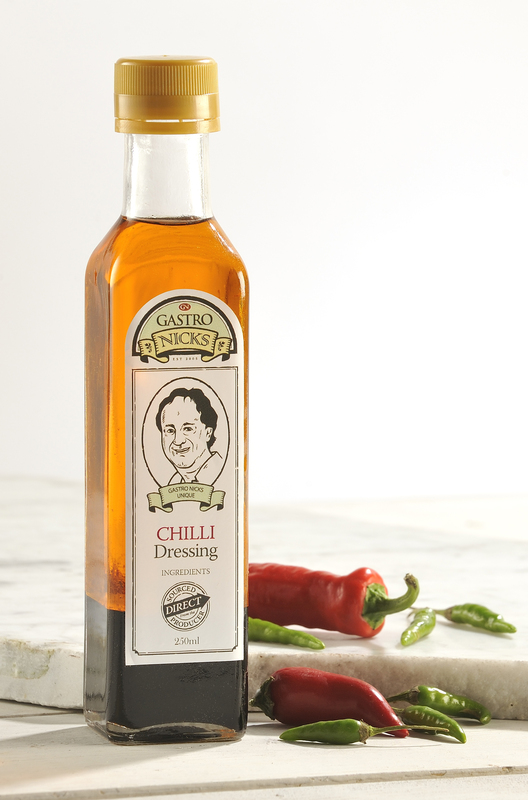 Can also be used for marinades or for dipping fresh crusty bread. 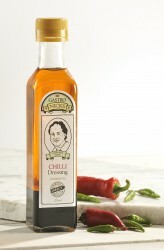 Easy alfresco! 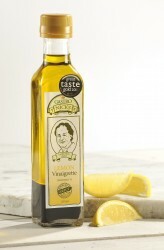 Ingredients: Infused Chilli, Lemon or Rosemary and Garlic Olive Oils with White and Dark Balsamic Vinegars from Modena. 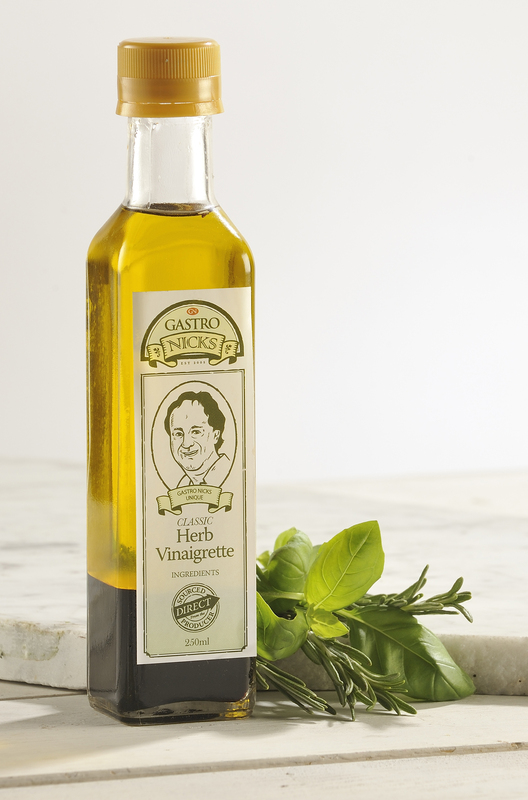 Free from any additives, preservatives or emulsifiers. 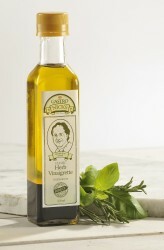 Refrigeration not essential as they are made with pure Olive Oils.